At the 2019 Transportation Research Board Annual Meeting, the Executive Committee of the Council of University Transportation Centers on behalf of the Secretary of Transportation, Elaine L. Chao, awarded the Secretary’s RAISE Award to a student team from the University of Pennsylvania (UPENN). 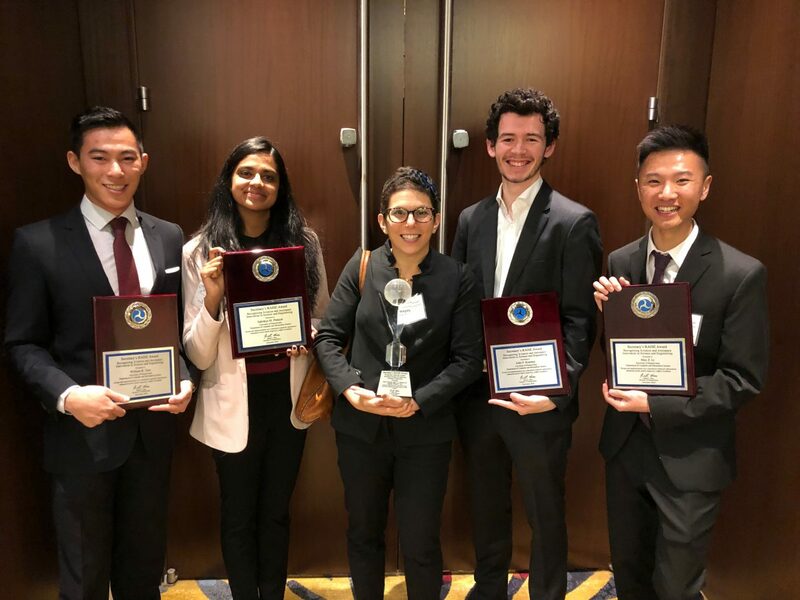 The UPENN senior design team members John Kearney, Max Li, William Tam, and Sahithya Prakash and team advisor, Dr. Megan S. Ryerson, accepted their award. The Secretary’s RAISE award was created to recognize innovative scientific and engineering concepts and student achievements that have the potential to significantly impact the future of aerospace or aviation. The team focused on the design and implementation of a centralized air traffic control (ATC) system for autonomous unmanned aerial vehicles (aUAVs) in order to mitigate the risk of aUAV-on-aUAV mid-air collisions.